Accelerated Death Benefits A life insurance policy option that provides policy proceeds to insured individuals over their lifetimes, in the event of a terminal illness. This is in lieu of a traditional policy that pays beneficiaries after the insured’s death. Such benefits kick in if the insured becomes terminally ill, needs extreme medical intervention, or must reside in a nursing home. The payments made while the insured is living are deducted from any death benefits paid to beneficiaries. Accidental Death and Dismemberment (AD&D) Benefit A supplementary life insurance policy benefit that provides for an amount of money in addition to the policy’s basic death benefit. This additional amount is payable if the insured dies as the result of an accident or if the insured loses any two limbs or the sight in both eyes as the result of an accident. Actuary An insurance professional skilled in the analysis, evaluation and management of statistical information. Evaluates insurance firms’ reserves, determines rates and rating methods, and determines other business and financial risks. Additional Insured In auto insurance, a person (other than the Named Insured) or organization protected by the policy through endorsement. This is typically (on an auto policy) an auto leasing company or may be an employer such as a real estate agency. Adjustable Life Insurance A form of life insurance that allows policy owners to vary the type of coverage provided by their policies as their insurance needs change. Admitted Company An insurance company licensed and authorized to do business in a particular state. Annuity A life insurance product that pays periodic income benefits for a specific period of time or over the course of the annuitant’s lifetime. There are two basic types of annuities: deferred and immediate. Deferred annuities allow assets to grow tax-deferred over time before being converted to payments to the annuitant. Immediate annuities allow payments to begin within about a year of purchase. Antique Auto An automobile or truck, at least 25 years old which has been substantially restored to original condition, and which is used exclusively for parades, shows, and occasional drives. 1 Bodily injury liability, for injuries the policyholder causes to someone else. 2 Medical payments or Personal Injury Protection (PIP) for treatment of injuries to the driver and passengers of the policyholder’s car. 3 Property damage liability, for damage the policyholder causes to someone else’s property. 4 Collision, for damage to the policyholder’s car from a collision. 5 Comprehensive, for damage to the policyholder’s car not involving a collision with another car (including damage from fire, explosions, earthquakes, floods, and riots), and theft. Bailee An entity (person or organization) having legal possession of one's property without having title (right to sell) to such property. The best example of a Bailee is a dry cleaner. They have legal possession of garments without having the right to sell such garments. Bailees with regard to automobiles may be auto repair facilities, valet parking, car washes, etc. Beneficiary The person or legal entity the owner of an insurance policy names to receive the policy benefit if the event insured against occurs. Bind The act of effecting coverage. Cancel The act, of either party in an insurance contract, of ending the contract prior to its expiration. Both parties are required to give written notice to the other party to effect such cancellation. The insurer is required to give at least ten- (10) days notice prior written warning of such cancellation. Comprehensive That coverage which pays for direct and accidental damage to the insured's automobile, other than that caused by Collision. All losses not specifically excluded are covered and such coverage usually has a deductible. Conditions Also referred to as Terms and Conditions. These are typically circumstances that must be present for the coverage to apply. Contract A promise or series of promises that are enforceable under the law. Crash Parts Sheet metal parts that are most often damaged in a car crash. For a life insurance contract, the amount of money paid by an insurer to a beneficiary when a person insured under the life insurance policy dies. For an annuity contract, the amount of money paid to a beneficiary if the contract owner dies before the annuity payments begin. Declarations Also known as the "Dec Page" or merely the " Dec." That section of the insurance policy that distinguishes one policy from all others. It contains the insured's name, address, a description of the property insured, the premium, etc. Deductible An amount of money which, in the event of a covered loss, the insured is required to pay prior to the insurer being liable for any damages. The purpose of a deductible is to eliminate the expense of processing small claims. Defense Coverage provided in most liability policies, which pays for the cost of defending the insured in the event of lawsuit regarding a covered loss. Defense cost, in the auto policy, is said to be " unlimited," in that the policy requires the insurer to pay whatever is necessary, however it is actually limited in that the insurer can pay policy limits in damages and thereby avoid the defense requirement entirely. Excess Liability Coverage Liability coverage that is written to provide higher Limits than those available in the Primary policy. This policy is only liable after the Primary policy has paid its full Limits for a covered loss. It is used where higher Limits of liability are needed, but the primary carrier is unwilling or unable to provide such Limits. The Primary policy may provide Limits of 15/30/5 and the Excess policy 85/270/45 to provide total Limits of 100/300/50. Exclusion Language in a policy (or which may be endorsed onto a policy) which specifies that a given circumstance is not covered. An example would be intentional acts of the insured. If an insured were to damage property or cause bodily injury on purpose, the policy will not provide coverage due to the intentional acts exclusion. Another example would be the Named Driver Exclusion, which states that if a designated person specified by name is driving the automobile at the time of loss, the policy will not provide coverage. Fidelity Bond A form of protection that covers policyholders for losses that they incur as a result of fraudulent acts by specified individuals. It usually insures a business for losses caused by the dishonest acts of its employees. Fiduciary Bond A type of surety bond, sometimes called a probate bond, which is required of certain fiduciaries, such as executors and trustees, that guarantees the performance of their responsibilities. Floater Attached to a homeowners policy, a floater insures movable property, covering losses wherever they may occur. Among the items often insured with a floater are expensive jewelry, musical instruments and furs. It provides broader coverage than a regular homeowners policy for these items. Flood Insurance Coverage for flood damage is available from the federal government under the National Flood Insurance Program but is sold by licensed insurance agents. Flood coverage is excluded under homeowners policies and many commercial property policies. However, flood damage is covered under the comprehensive portion of an auto insurance policy. Fraternal Insurer A nonprofit organization that is operated solely for the benefit of its members and that provides its members with social and insurance benefits. Also known as fraternal benefit society. Gap Insurance An automobile insurance option, available in some states, that covers the difference between a car’s actual cash value when it is stolen or wrecked and the amount the consumer owes the leasing or finance company. Mainly used for leased cars. Someone who has been continuously licensed in the U.S. or Canada for eighteen months or more; and has less that two traffic violations or only one at-fault accident not involving bodily injuries in the last 36 months. Generic Auto Parts Auto crash parts produced by firms that are not associated with car manufacturers. Insurers consider these parts, when certified, at least as good as those that come from the original equipment manufacturer (OEM). They are often cheaper than the identical part produced by the OEM. Gray Market A vehicle which was built for sale outside the U.S. These vehicles (usually built by Porsche, Mercedes, or BMW) do not meet U.S. standards regarding emission control, safety glass, lighting, etc. Home Owner The person who pays the mortgage on the house. Insurance The contractual transfer of the financial consequences of loss. Insuring Agreement Promise made by the insurance company, which outlines its duties. Exclusions, Conditions and definitions that appear later in the policy modify this promise. Long Term Care Insurance Long-term care (LTC) insurance pays for services to help individuals who are unable to perform certain activities of daily living without assistance, or require supervision due to a cognitive impairment such as Alzheimer’s disease. LTC is available as individual insurance or through an employer-sponsored or association plan. Long Term Disability Income Insurance A type of disability income insurance that provides disability income benefits after short-term disability income benefits terminate and continues until the earlier of the date when the insured person returns to work, dies, or becomes eligible for pension benefits. Contrast with short-term disability income insurance. Loss Payee Typically the finance company holding title to the owned auto. Named Insured That person so listed on the Declarations and his/her spouse if a resident of the same household. NO-Fault Insurance Auto insurance coverage that pays for each driver’s own injuries, regardless of who caused the accident. No-fault varies from state to state. It also refers to an auto liability insurance system that restricts lawsuits to serious cases. Such policies are designed to promote faster reimbursement and to reduce litigation. Occurrence An event or series of events which causes Bodily Injury and/or Property Damage. May include repeated or continuous exposure to the same injurious condition. Operator In auto insurance, that person seated immediately behind the steering controls of the automobile and no other person. Policy Jacket A preprinted brochure which contains all policy language except that contained in the Declarations Page and Endorsements. In the Policy Jacket you will find the Insuring Agreement(s), Exclusions, Conditions and Definitions. Premium Consideration paid by the insured for the policy. The cost of the policy. Private Passenger Auto A self propelled motor vehicle, with neither more nor less than four wheels, designed for use upon streets and highways and subject to motor vehicle registration under the laws of California. Producer A fire and casualty licensee who, for compensation, acts or aids in any manner of soliciting, negotiating, or procuring the making of any insurance contract on behalf of the insured. Producer Fee The fee charged by the producer for services, which is in addition to the premium. Proof of Non-Fault/ No B/I Documentation required by the insurer to support not charging for an accident or not assigning points for bodily injury in an accident. Acceptable forms are limited to a police report, a letter from the previous insurer or a letter from the carrier of the other party in the accident. 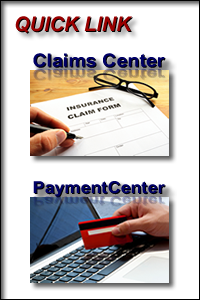 The insurer may accept a copy of the claims check stub if it contains sufficient information. Property Damage Damage or destruction including loss of use of a Third Party's property. Reduction in value is the measure of Property Damage. Punitive and Exemplary Damage That form of damages, awarded by the court, which is intended to punish the wrong-doer, not to compensate the injured party. This form of damages is generally not covered by a liability policy. Quote An estimate of the cost of insurance given to a prospective client. This estimate does not constitute an offer and therefore is not enforceable. It is literally an invitation to the insured to make an offer. The offer, which may be accepted or rejected, is the policy application.